If you find this update from Pinterest more than a little creepy, I agree. If you don't, then keep reading about how Pinterest's updated "Lens" feature is your next must-have tool! The worldwide catalog of ideas — shared by over 175 million users every month — just updated its camera feature to recognize multiple elements in an image at once. This means that if you took a picture of let's say, your bedroom, Lens will be able to pick up not only your bed, but your bedside lamp, your dirty gym shoes, and whatever else you have lurking around. After Lens picks out these images, links to other topics related to it will circle around your image. 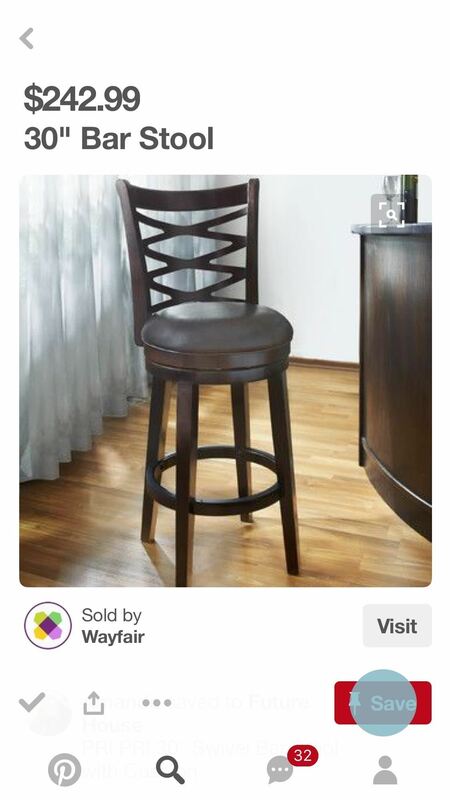 These are related items, shared publicly, from other users on Pinterest. You can also click on one of the related topics or scroll down to see other related items for purchase. As you can see, I took a shot of my basic AF water bottle. Lens didn't quite pick up on the bottle, but did recognize the furniture within the background of my image. Lens already recognizes over a billion objects, and people have been posting their Lenses, from the wins (cherry tomatoes! hanging rattan chairs! ), to the not-so-wins (used tissues as a wedding accessory?!). Pinterest's goal is to improve its "point-tap-whoa" experience, which all sounds great. 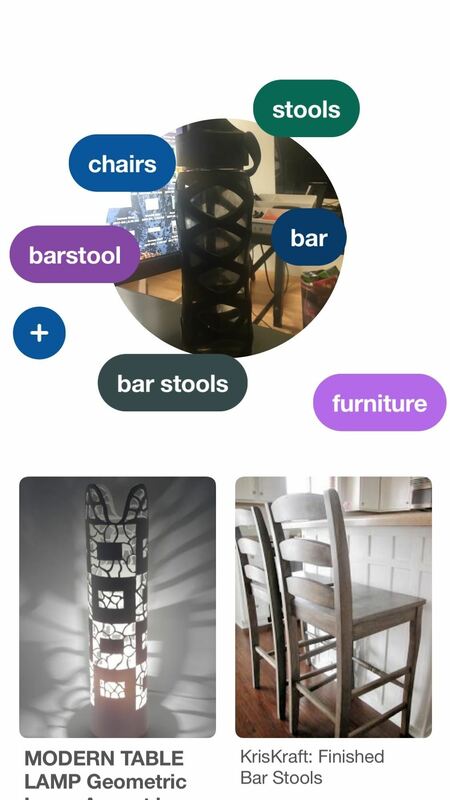 Lens can also now "speak" QR, which is a pretty obvious aim at encouraging businesses to list more with Pinterest. Ad placement isn't available yet in Lens, though that won't stop the company from generating revenue through its updated feature. 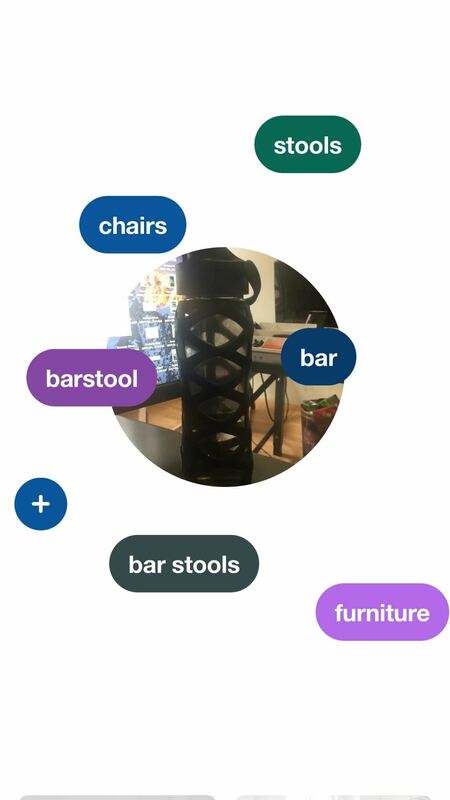 Every time you Lens something, it links you back to a related item. Some for purchase. Some not. So far, Pinterest does not take a cut of that transaction, but it seems silly for them not to if you ask me. Though, Lens is a continual work in progress, which Pinterest understands. In order to improve, Lens needs even more users to take more photos. Upload your product catalog to Pinterest and make sure your website has the Save button so more of your products are available to appear in results. Give Lens a try! Lens some of your products to see if they're recognizable. If Lens stumbles, tap + to help it learn. PS if all that wasn't creepy enough ... Lens also has its own Twitter page like it is its own creepy image-collecting robot with the bio: "I'm just a bouncing baby beta, so I'm not 100% perfect yet." Now that millions of users have uploaded billions of images to Lens, the bouncing baby beta is only getting smarter as it feeds off of more and more of your data. So there you go. Point, shoot, and discover, but be wary. Don't point, shoot, and discover something you don't want Lens to store and use later on. Get Pinterest's Lens shortcuts for Android here, and also now for iOS.